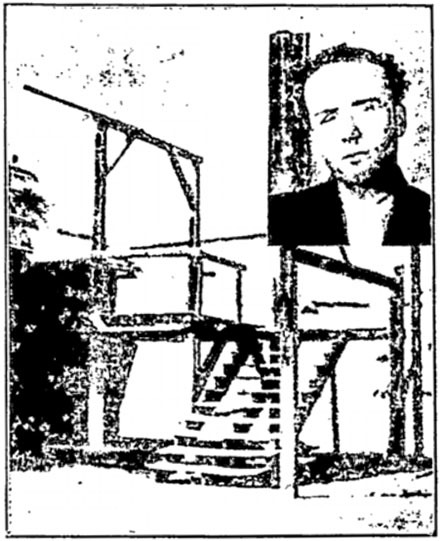 On this date in 1909, Fred Seward was hanged at the Boise penitentiary. When O’Neill spurned his suit, Seward shot her dead. Then he turned the same gun on himself: the shot gruesomely disfigured his face and cost him the sight in his left eye — but it did not kill him. The state of Idaho was more than willing to pick up the slack. The boys — Seward’s executioners — did so, and cleanly snapped his neck in the fall. “The Son of God, who came not to destroy, but to save men’s lives, has revealed to the world the right life for both men and nations. The great mission then of the individual, the church, the state and the nation is not to destroy men, but to bless, help and save them. In the light of the teachings of Christ, the state has no more right to kill than the individual.